Kinhost dot Org | Can’t we all just get along? Imagine a house where everyone comes & goes as they please. No one does the chores. No one contributes to the rent. The denizens don’t follow any particular rules or guidelines, nor do they even communicate. They steal from each other, lie, break things, use each other’s supplies and items without consent or apology. If you were to stop someone and ask them who lives there, they probably have no idea, or perhaps they have a couple names but don’t really know each other really well. Some people sneak about and hide from the others, living in closets, boxes, the attic, the basement, the garage — anywhere but where others can spot them clearly. It’s like a den of animals, without law and order, without a sense of decorum or being polite, with the stereo or TV blasting at all hours. It sounds crazy, but this anarchy is a multiple’s head on the brink of crisis. After enough nights of lost sleep, lost items, lost memories, inadvertently lying to their friends or family, meeting people they have never met who claim to know them, and basically living a crazy life in their head, often the multiple will plunge into a full crisis and a big fight over rights, respect, trust, identity, property & idea ownership, friendships or relationships, power and control erupts, sometimes overnight. For those of us who are lucky, we head the crisis off before it fully erupts. For those who have no idea that they are multiple, the chaos can be devastating leading to loss of employment and emotional disability until they can get back to a place of peace and balance. Most functional adults have good role models who have taught them how to do chores, who cared whether they were coming or going, who contributed to the household, who set and followed certain rules and guidelines and passed them along. But since society is chock full of singletons, most of us don’t have good role models for being good citizens in our own head. Multiples may comprise as much as 6-10% of society, but there are no good role models in books, on TV, in our homes, or in the media for how citizens in our head should behave. Instead of teaching multiples a similar method for sharing and caring that exists in any good community, we label them "Disabled," excuse them from society and sanity, and allow them to be a complete anarchy, run by whomever happens to have control at any given moment. And I would know, because I -- we, more accurately, are multiple. And I'm here to say "Enough!" and give you a refreshing breeze of what sanity has in store for you. It’s time to re-create your internal relationships. We’re not going to play the blame game, we’re just going to have a revolution and change the rules, and do everything in our power to make it fun, adventurous, exciting -- and challenging. Don't we all love a good challenge? 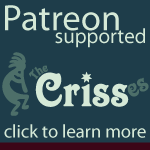 This is great Criss. I think it will be very helpful to both singletons and multiples. It is a good thing that you are fortunate to have gone to the process to the point when you can be helpful to those that don't understand. As you know I have worked with, care about, support and loved several multiples for some years and have often been appalled and frustrated with the disbelief, synisism and "mystic" that are expressed by both clinicians and "lay" folks. I like the way you put it in terms all can understand. I have always understood that it was as "simple" (and yes I know for multiples there's nothing simple about it)as that. So futile for mental health folks to waste so much time trying to "force" multiples to conform to what they can understand. we are trying to learn to just listen to those we disagree with, and thinking before reacting. spice is helping. I suppose you mean the drug? I hope you can find another way to do it. But listening and thinking before reacting are very important. We found Stephen Covey's 7 Habits of Highly Effecting People very helpful for both. Just remember that everything that applies to external relationships also applies to internal relationships — and it will be very helpful to follow any good or proven advice. Thank you. We are so very very very tired of people expecting us to be "single." We pretended for years, with little help, to be a single in order to be successful in life. And we broke down, as our methods were essentially to bully one another into submission and allow only a couple of us to "run our body." After we developed a vicious autoimmune disease, were 5150'd four times (all of which we of course managed to get out of by convincing the doctors that we were "just tired" or "having a panic attack" etc) - we have realized it's time to stop pretending to be a single, get along, share our lives together, and stop worrying about always acting the same for the people outside our head. We are not single, we have not been single since we were three - and we're tired of hiding. Thank you for coming forward, thank you for giving us a role model and example of peace in multiplicity. We thought we could find that by hiding who we are, even from our husband. It's not possible. Integration is not an option. And we're excited to finally open to being a WE. We look forward to growing as a unit, to educating our two children and family on our multiplicity, and to being an example for the souls we've come across through the years that we know are multiple but either hiding also, or unaware. It's ok to be a WE. There's great power in being a WE, and we intend to learn to work together and live this life in peace. Thank you for helping with that. Thank you for the beautiful comment : ) It makes us excited when people get it, need it, hear it, and resonate with it — so thank you so much for sharing. Comments like this let us know we're getting someplace and on the right track. And you're SO SO welcome. It's been a long road, and we're not stopping to smell the flowers while there's still systems out there fumbling in the dark trying to figure out where the light switch is! !